Ben is the founder and Managing Director of the innovation design consultancy Tricky Jigsaw, a company within the M&C Saatchi Group that, in September 2017, saw the group take first place in the Australian Financial Review’s ‘Most Innovative Company’ award. Tricky Jigsaw’s methods and product design work for NRMA Fireblanket (an early bushfire detection system), also won ‘Most Innovative Product’ and overall ‘Best Innovation’ categories. He is responsible for not only the growth and sustainability of Tricky Jigsaw but its positioning as a unique and laterally minded skillset. Through a process of systematic creativity, it offers businesses, organisations and institutions the ability to rethink their impact through product, services and experiences. In 2017 he was personally recognised amongst the top 20 creatives in Australia by the Adnews Creativity List. He is inspired by what is achievable with passionate, curious people unbound by convention. He is known for leading M&C’s world-first shark detection system, the 'Optus Clever Buoy' to win seven Cannes Lions and the coveted Titanium, as well as SXSW, SPIKES Grand Prix and a D&AD White Pencil amongst others. The Buoy went on to receive backing in a $16m shark mitigation pledge from the NSW Government and is listed on the ASX (SM8). 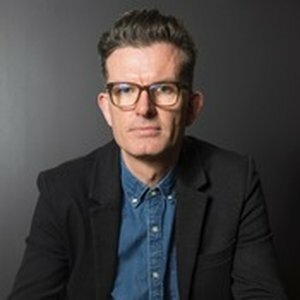 Prior to joining M&C Saatchi in 2014, Ben was Head of Digital for The Monkeys; and, before that, had two decades of international experience across London, Zurich and Sydney. In his spare time, he is a co-founder of O Six Hundred, a skin-on-frame kit kayak that in 2015 won Best in Category at the Good Design Awards.